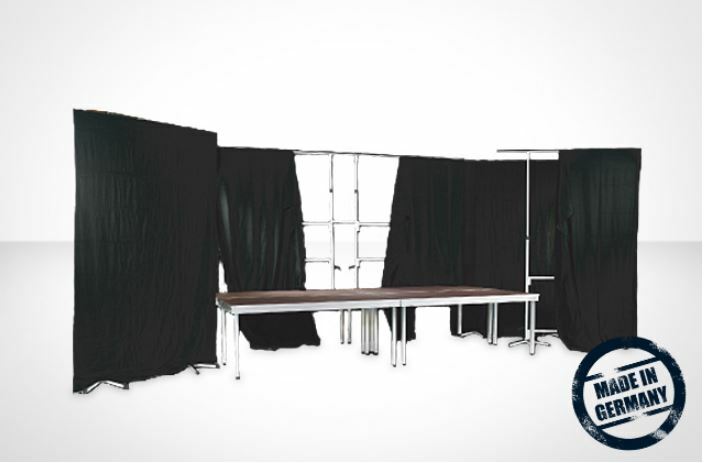 Our mobile stage drapes are installed individually. 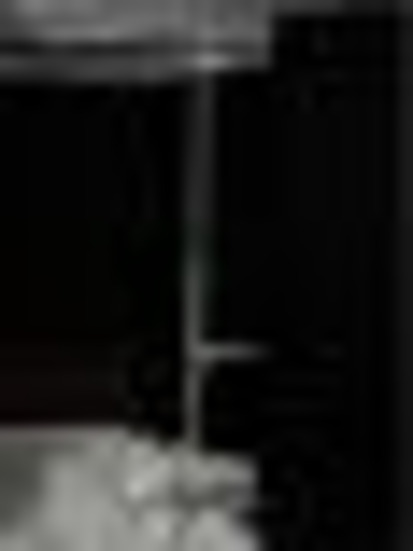 They are infinitely vertically adjustable between 200 and 350cm, the 200cm wide curtain parts are ideal, for example for the positioning of alley ways at the side of the stage. 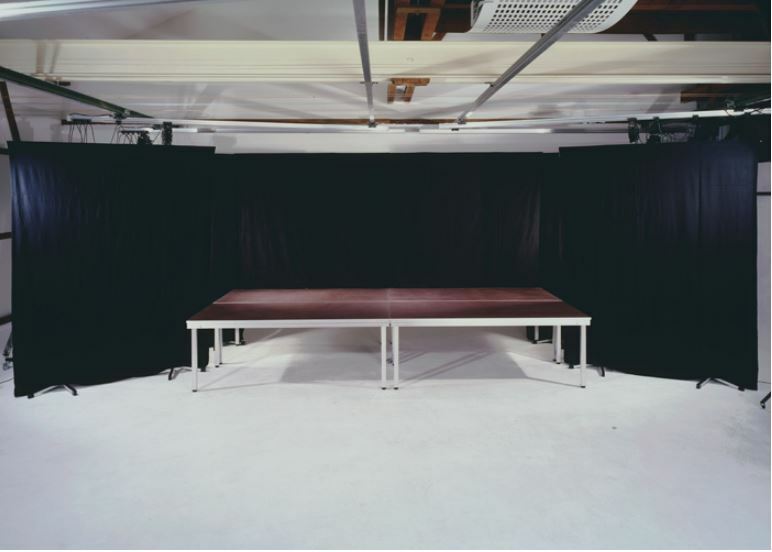 The actors can stay or get changed ‘hidden’ directly next to the stage. 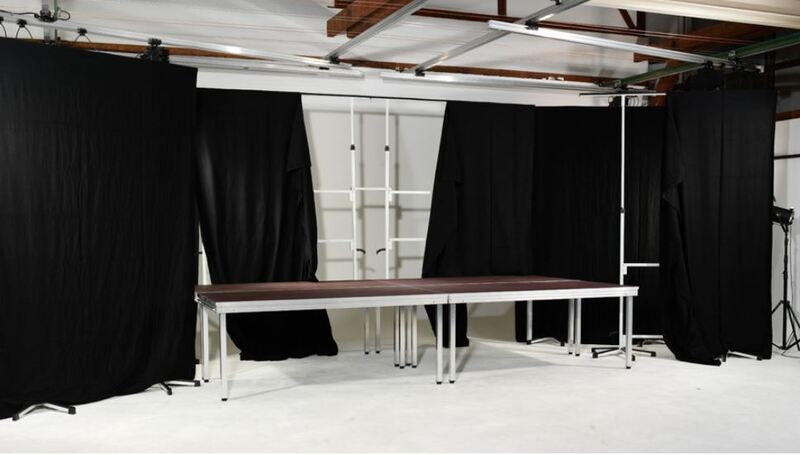 In addition the mobile stage drapes, which serve to practically conceal, are very easily installed at the sides of the stage. The material of the curtains is chosen individually. 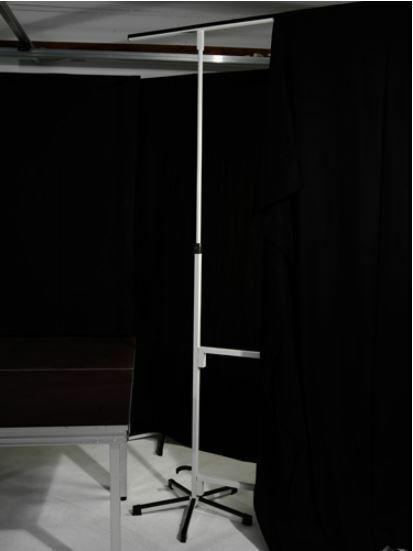 Free standing, steel pipe, powder coated in dark black (RAL 9005) – including Velcro for the mounting of the stage curtain.